Even if you’ve seen only a handful of Tested’s videos, you’ll know that these guys take cosplay and other geeky props very seriously. For this year’s SDCC, they commissioned professional effects artist Frank Ippolito and prop maker Bill Doran of Punished Props to make life-size replicas of Wikus’ alien hand and assault rifle from District 9. Bill also had the privilege of cosplaying as Wikus and carrying the replicas around the convention. If you don’t have time, you can skip to 14:25 in the video to see the replicas. Using photos of the movie prop as his reference, Frank first made a clay sculpt of the alien hand. Then he made a plaster mold out of the sculpt and used that mold to make the hand out of latex. Meanwhile, Bill used Weta’s 1:4 scale model of the rifle to make a prototype of the rifle out of MDF and modeling board. Then he made several molds from the prototype using fiberglass and silicone. 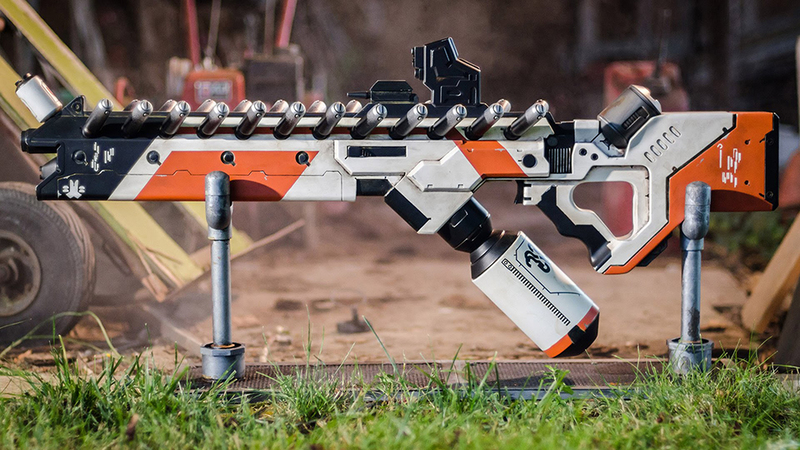 He then used the molds to create the assault rifle replica out of urethane resin.